There’s nothing worse than having wet snow leak through your ripped canvas Chucks. 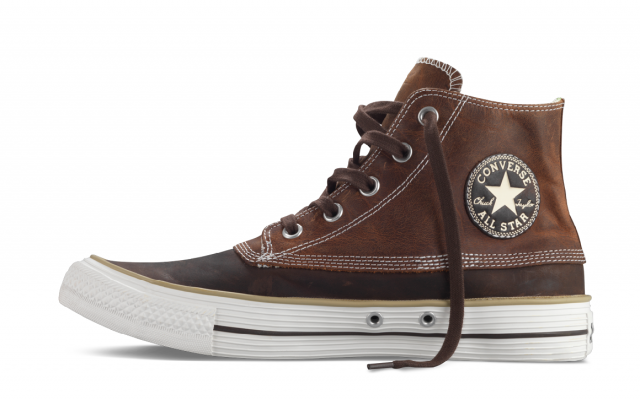 Enter the new Chuck Taylor Duck Boot. Featuring classic duck-boot design with two-tone leather uppers and a rubber toe guard, these should be perfect for the fall and winter seasons when conditions get cold and wet. They’re available now for only $70 at Zappos.